Learning how to communicate more like a deaf person could improve your listening skills and make yourself heard better at work, according to international business consultant and coach Dr Bruno Kahne. Dr Kahne, who works as a senior consultant with the AirBusiness Academy, a training and research consultancy in France owned by Airbus, has spent the last seven years researching the communication habits of deaf people, the results of which he has made into a new book entitled ‘Deaf Tips – Powerful Communication’. 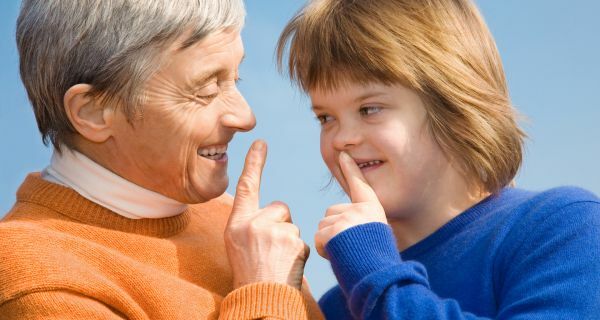 To most of us, the idea that we could learn lessons in effective communication from people who can’t hear very well – or at all – might seem like a bit of a oxymoron, but Dr Kahne insists that while deaf people can find it difficult to communicate effectively with hearing people, this is not the case when talking to other deaf people. “Deaf people are not deaf when they are together, only when they are in contact with hearing people,” he said, and adds that they are better communicators, “passing messages much faster and more precisely than any hearing person”. In his book, he describes how he set two groups of three people – one group of signing deaf people and the other hearing – the same problem-solving task involving putting together a sequence of six images in the right order. The deaf group took less than two minutes to figure it out, while the hearing group took well over six minutes – a result that was repeated in similar exercises Dr Kahne conducted with over 1,000 people. But what makes deaf people more effective communicators? One example, says Dr Kahne, is that deaf people talk one at a time, in a very sequential manner, while hearing people talk all at the same time, and often interrupt one another. Another example is that during conversations, deaf people tend to “stay focused on the interaction, while hearing people disconnect regularly”. Hearing people also rarely ask others to repeat things they have said, and never say when they don’t understand something. In deaf culture, Dr Kahne says, “deaf people constantly reformulate and check their understanding, saying when they don’t understand”. Dr Kahne uses the tips and information he has collected for the book with his day-to-day work with corporate clients, but says the idea is not to teach them sign language, but help them adopt communication tips and tricks from the ‘deaf world’ that would make them better colleagues and managers. * To pay a lot more attention to other people’s body language. “Learning to listen with your eyes, like deaf people, can help you improve your memory,” he said. * To speak one at a time and without interrupting others, and resolve any conflicts one at a time. * Be both simple and precise in how you convey information. “This is something that hearing people have a hard time doing,” said Dr Kahne. * Use visual words and stories to help convey specific messages or answer questions. Dr Kahne says he hopes his book will help bring about a turnaround in how we perceive deaf people by realising that, in finding ways to compensate for their deafness, they have developed communication behaviours that could be useful to hearing people. “When I came up with the idea in 2006 that hearing people could learn from deaf people, I was convinced that I was not the first one to think that way,” he said. He says the response to the book so far has been “overwhelmingly positive” from both hearing and deaf people. “There are many behaviors described in this book that people already know, even if they rarely apply them. This is a longer version of an article and accompanying videos published in the Irish Times Health and Family supplement on January 7. It is the second part of a two-part series. The first part was published on January 7. Jo Flood has just learnt that her 13-year old son, Harrison, will be able to attend a local mainstream school near New Ross in Co Wexford next September that is opening a new autism spectrum disorder (ASD) unit. At the moment, he attends a special school in Goresbridge in Co Kilkenny, which she says is “not the most appropriate placement” for him but adds that the staff there are “exceptional”. 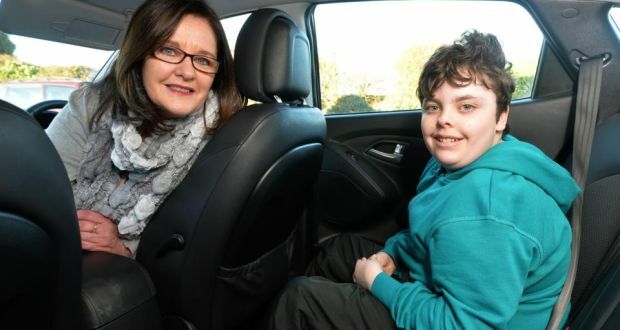 She had to drive 1,000km a week just to get him to and from the school, but a school transport grant application was recently approved and Harrison now gets a taxi instead. For Jo, these two developments are among the few positives in what has been a long, sometimes difficult and often expensive saga concerning Harrison’s school education that has included issues with inaccurate disability assessments, poor teacher training and breakdowns in communications with schools. Harrison has ASD and a behavioural disorder. But she has no regrets about the many battles she has fought on the special education front, not just for Harrison, but for members of the Cottage Autism Network, a Wexford parents support group that she chaired for two years. She also home-schooled Harrison for a year following a disastrous experience with a local mainstream school. “Because I had made good choices, up until this point, even though they were hard choices to make but good choices because they were benefiting Harrison, I said I was going to look out for what I think is the best school, because I know this chap better than anyone. Just over 30km away in Oylgate, near Enniscorthy, Margaret Nolan and her husband, Paul, live on a farm with their two boys, Liam, 12, and Sean, 10, who both have Fragile X syndrome, resulting in moderate intellectual disability, speech and language delay as well as ADHD (attention deficit hyperactivity disorder) and social anxiety problems. After attending their local Montessori pre-school, Liam and then Sean enrolled at St Senan’s primary school, a mainstream school with an ASD unit in Enniscorthy town, a school that Margaret has nothing but praise for – and which she didn’t have to look very hard to find. While her story is an almost entirely positive one so far, guided also by the valuable input of a number of local health professionals (“my three wise women”, as Margaret calls them), she and Paul do appreciate how lucky they have been. “I’m in the company of parents of children of special needs frequently, and it can be very depressing because everybody is giving out about something. You know, ‘What did you not get’, and all the fights you have to have to get this, that and the other. The contrasting experiences of these two sets of parents of children with (broadly) comparable special needs illustrates just how much of a geographical lottery it can be – even within the same county – to get access to the most appropriate education for special needs children in a local mainstream school setting. We spoke to a number of other parents around the country about their experiences, and while sometimes the issues are simply to do with cuts to resources and the inflexibility of the current resources allocation system, there are also serious problems relating to poor training, information not shared or parents and professionals simply not working together well. But almost all the parents had many positive things to say, not least the essential value of inclusive education for the majority of children with special needs, even some of those at the more severe end of the disability spectrum. In 2008 at least, parents seemed to be broadly happy with the support their children were getting at school – usually in the form of resource teaching hours or access to special needs assistants. A survey of 1,400 parents commissioned by the National Council for Special Education, the agency which looks after the delivery of special needs education as well as advising the Department of Education and Skills, found that 75 per cent of them were either satisfied or very satisfied. But how parents would respond today given the many cuts in funding since 2008 is anyone’s guess. But what do the children themselves think? Indeed, despite reams of research into many aspects of special education policy, very little is known about how these children are faring in mainstream schools some 20 years after the landmark ‘blue’ report by the Special Education Review Committee in 1993 that kick started mainstreaming policy. In an attempt to look at both social and academic inclusion, ESRI’s Growing Up in Ireland, a Government-funded longitudinal study of children, asked nine-year old children with and without special needs questions about well-being, school engagement, learning and relationships with friends, peers and teachers. Overall, 12 per cent of children with special needs said they never liked school, compared to 7 per cent of their peers without special needs. Broken down by disability type, the study also showed that pupils with physical or sensory disabilities were no more likely to dislike school than children with no special needs, which implies that pupils with learning difficulties, emotional and behavioural difficulties and multiple disabilities are still struggling. “They’re the ones with the huge barriers in the mainstream context,” said Banks. However, he adds that the pressure to pursue it even in cases where it demonstrably doesn’t work is still strong. Teachers report that differentiating the curriculum for an increasingly diverse class group can be very difficult without the right support and resources, while O’Sullivan hints at the frustration many teachers feel about the growing reams of research and information on special needs. O’Sullivan recalled lectures for his Masters diploma in special education at St Pats, where they were told about things like characteristics, behaviour patterns and so on. Lorraine Dunne is a resource teacher at North Kildare Educate Together school in Celbridge, Co Kildare. She loves her job, but feels a permanent sense of “shifting sands” as the Department of Education tries to react to new thinking about teaching children with special needs. Newly qualified teachers will have undertaken a module in special education as part of their ordinary teaching degree course, but there remains many more within the teacher body with no formal qualifications in this area. Even in special schools, less than a third of teachers have any qualifications at post-graduate level, according to 2009 study by the NCSE. Although she has no post-grad diploma in special education, Dunne has 12 years experience and was previously a visiting teacher for traveller children. She said it would be nice to have such a qualification, but “I think what really prepares you for this job is experience and, unfortunately, the two things are up against each other”. Such courses are often over-subscribed but, given the low base, it’s unrealistic to expect all of the nearly 10,000 special needs teachers to have specialist qualifications. “What you could do is have a system whereby every school in the country got at least one person with a post-grad qualification in this area,” he said. There is also confusion, particularly with parents, over the role of an SNA, given what what Travers calls “the tension between care needs, education needs, support needs and how you try to draw a distinction between them and what the actual SNA is doing versus the role as it was envisaged initially”. Officially, the role of an SNA is just to focus on the child’s extra care needs in the school, such as clothing, feeding, toileting and supervision, but a value for money review of SNAs by the Department of Education from 2011 showed that they may be used for administrative, behavioural management and therapeutic duties, too. In the UK, SNAs are called teaching assistants. “They specifically have teaching as part of the role description,” says Travers. To expand the potential of SNAs here would clearly require a re-definition of the role, but care would need to be taken in this redefinition to ensure that they don’t become replacements for specialist skills of teachers. At the end of the day, how special education resources are used in mainstream schools is really critical, and that there are structures to support school staff, says Dr Shevlin. But too many more cutbacks could see SNAs being lost, and therefore a key building block in a good team that had been built up in a school, he said. Educational psychologist David Carey says the working relationship between professionals – teachers, SENOs, psychologists and other therapists – and parents must also be evenly balanced. “Co-operation which is power-hungry, that puts one person in a position — be it a principal, teacher or parent, by the way – are in a position of decreeing or demanding exactly what is going to be done is counter-productive and it doesn’t help the child. “Parents know the child best, but the professionals ought to be in a position to listen really carefully, respond appropriately and hope parents understand what kind of strategies, techniques and instrumental supports that are needed for the child. That’s genuine co-operation. “Nobody knows the child better than the parents. They know what’s worked in the past, they know what’s failed in the past. We don’t always need to reinvent the wheel. So, with collaboration, which I think is the word we really ought to be using more than co-operation, is what’s demanded here. Sinead Winters Smith and Julie Anne Cunneen have two things in common. They are both parents to deaf children, and they are also deaf themselves. But there, their similarities end. Sinead’s three children are all deaf, with her two older boys, Callum and Oisin, attending St Joseph’s School for Deaf Boys in Cabra, Dublin, while the third girl, Eva, is at a pre-school but is expected to attend the local mainstream school in Arklow, Co Wicklow, as she is not as deaf as her brothers. Sinead’s eldest son, Callum, who became severely deaf as a toddler, first attended the local mainstream school and seemed to manage fine in the beginning. But as he got older, there were clues that he was missing out on what was being said, and also became more aware his deafness. “His confidence started to suffer as a result of being seen as being different,” said Sinead, whose first language is Irish Sign Language (ISL). By this time, Oisin had started in St Joseph’s school and, eventually, Sinead and her husband decided to enrol him there, too, against the strong advice of the same visiting teacher for the deaf who had urged them to send Callum to mainstream school years previously. But the difference in Callum was clear: “He has come along in leaps and bounds in terms of vocabulary, learning and in his self-confidence,” said Sinead. 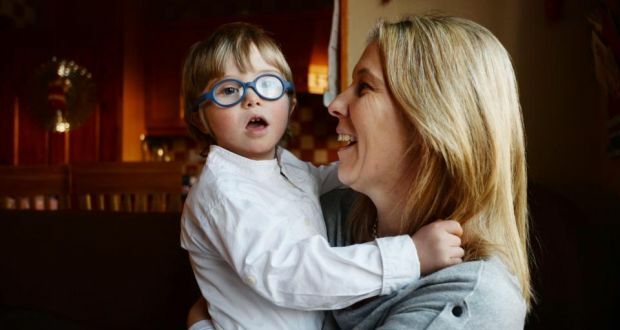 Julie Anne Cunneen’s son, Liam had, until recently, been attending both the deaf special class and a mainstream class at St Columba’s National School in Douglas, Cork. He has sensory processing disorders as well as severe deafness, and has a cochlear implant – as does his mother. Julie Anne, also on the advice of a visiting teacher, sent her son to the deaf special class along with six other deaf children in St Columba’s in September 2011. But in order to make the full transition from a class of six to a mainstream class of 30, the educational psychologist recommended that he have access to a full-time SNA because of his sensory processing disorder and other complex needs. The bizarre upshot was that, from last April, Liam was restricted to one hour of school a day, which the maximum amount of time the school could allocate a special needs assistant and his parents were told he would get no more unless the school could increase its SNA allocation. But why not put him back in the deaf special class until more SNA support became available? According to Julie Anne, the principal said the special class could not meet his oral needs and would not allow him back in. Shortly after talking to the Irish Times, Julie Anne pulled her son out of the school and is tutoring him at home until another school can be found. In their own different ways, Sinead’s and Julie Anne’s stories highlight how, even though the vast majority of deaf and heard of hearing children are today educated in mainstream settings, the system can still fail them badly, or else offer very stark choices for their parents. And at a time when the Department of Health has agreed to allocate nearly €13 million towards bilateral cochlear implants for children, advocates for Irish Sign Language point out that visiting teachers and other professionals still regularly fail to inform parents about family tutoring supports available for ISL, or even continue to argue that teaching deaf kids to speak English and use sign language are mutually exclusive choices. “There would have been misinformation in the past that using sign language would hurt speech development and that’s not accurate, or that there would be information that if the child was using speech that they don’t need sign language,” said Elizabeth Mathews, co-ordinator of the Deaf Education Centre, which produces research and offers advice to parents. This is a longer version of an article published in the Irish Times Health and Family supplement on January 7. It is the first part of a two-part series. The second part will be published on January 14. When the Minister for Education, Ruairi Quinn, proposed a 10pc cut in resource teaching hours earlier this year, the reaction from parents of children with special needs was furious. It sparked a round of 13 separate demonstrations that took place across the country on June 26, and which still went ahead despite the INTO calling off its own protest after the government announced on the day that it would scrap the proposal. The parents’ clearly still felt they needed to make a point. If the government was surprised at the extent of the fury, it’s probably fair to say that some others were, too. After all, total spending on special education has shot up significantly over the last decade, from €468 million in 2004 to €1.3 billion in 2011, and which now accounts for around 15pc of the education budget. But anyone in school education circles will be aware that it was a system playing catch-up. It was only from the early 1990s that government policy on special education changed from one that was almost entirely catered for by special schools to one where the majority of children with special needs are today educated in mainstream schools. Parents were also playing catch-up, too. As funding increased year-on-year, parents’ awareness of special needs and what supports their children were entitled to also rose, particularly since 1998, when the then Minister for Education, Michael Martin, introduced the ‘automatic entitlement’ policy. This guaranteed a minimum level of support for inclusive education in the form of one-to-one resource teaching hours and special needs assistants (SNAs). However, after 2008 the Department of Education started to roll back on automatic entitlement, finally telling the National Council for Special Education (NCSE) in 2011 that it was no longer allowed to allocate resource teaching hours or SNAs on a “demand-driven basis”. As well the 15 per cent reduction in resource teaching hours for low incidence children since 2010, there had been a cap on the number of whole-time SNA posts at 10,575 since 2011, approximately 2,000 of them working in special schools. (Although the cap remains in place, it was increased last month by 390). The number of resource teaching posts, which had remained largely static since 2010, was increased by a recent Budget 2014 allocation of 455 resource teaching posts to just over 5,700. The caps and cuts of the last few years amid rising demand has forced schools to spread SNA support much more thinly. According to the National Council for Special Education (NCSE), the number of pupils currently “accessing” SNA support in mainstream schools in 2010 was 13,000. In 2013, the figure is 15,000. Catherine Cummins’s seven-year-old daughter, Niamh, who has Tourettes and Aspergers, goes to a local mainstream school in north Co Longford, and is very happy there. But her mother says she needs a full-time SNA but there is just one part-time SNA, who is shared between four other children in the 200-strong school. With a lid firmly on the number of resource hours and SNA support provided but school populations and demand still rising, something has had to give. While few would suggest that the special education system is creating any kind of artificial demand or that the Government has a bottomless pit of money, it’s clear from talking to several parents of children with special needs, along with experts, teachers, researchers and academics in the field, that the key issue now is how best to allocate what is now an effectively shrinking pool of funding. The ESRI estimates that 25pc of children in Ireland have a special educational need. Not all of them need support at school, but for the purposes of allocating resources, the disabilities are classed as either ‘high-incidence’ – mild but quite common disabilities, such as dyslexia or other learning or behavioural difficulties – or ‘low incidence’ – complex but rarer physical, sensory or intellectual disabilities like cerebral palsy, deafness or autism. The most frequent complaint that children with ‘low-incidence’ disabilities often have to ‘tick the right box’ of a set list of 11 disability categories in order get resource teaching hours, even if their educational needs are more complex in reality. According to the National Council for Special Education (NCSE), which allocates resource hours and SNAs, any child with a formal diagnosis of a disability like autism, deafness, moderate general learning disability or emotional disturbance will get between 3 and 5 resource teaching hours a week. Mary Doherty from Dunshaughlin, Co Meath, who has a son with Down syndrome, is one of a number of parents who has had to deal with the inflexibility of this allocation system. For reasons that are still unclear, Down syndrome is not listed by the Department as one of the 11 low-incidence disabilities, but parents can apply for resource hours on the basis of their childrens’ assessed IQ. A child with Down syndrome who is judged by an IQ test to have moderate general learning disability would get three and a half hours, but someone with a mild general learning disability is not guaranteed any resource hours. “I took my son for an assessment in January and, basically, if he did well in his assessment, I was told he wouldn’t get resource hours,” said Mary. Mary has been involved in an ongoing campaign to lobby the DES to classify Down syndrome as a low-incidence disability, but is exasperated how hard she has had to fight. The system also demands, in most cases, a formal assessment leading to a formal diagnosis of the disability before resource teaching hours or SNAs can be allocated. But the clamour for formal assessments has also created a huge bottleneck in the form of a long waiting list for psychological assessments that the public system – namely the National Educational Psychological Service – can’t cope with, forcing many parents like Mary Doherty to fork out for private assessments in order to ensure that early intervention is not delayed. Not surprisingly, this has provoked many to complain about unfair access to resources for better-off families because they can afford to pay for private assessments. But Brendan O’Sullivan, a special needs teacher in Leixlip, Co Kildare and president of the INTO, says this is not always true, as he has heard principals from disadvantaged schools saying they use any additional funds they get to buy more assessments for its pupils. But elsewhere there is strong evidence of inequity in how resources are distributed. A recent Department of Education investigation revealed that children in wealthy parts of Dublin benefit from more resource teaching for special educational needs than their counterparts in disadvantaged areas, even though ESRI studies have shown that children from working class areas are more likely to be identified with a special need. Dr Michael Shevlin, a senior lecturer on special education in TCD, agrees that it is difficult to quantify what resources a child needs simply on the basis of a disability category. “You could have a child with Asperger’s Syndrome who would have very few support needs, but you could have another child with Asperger’s Syndrome who would have enormous needs. So it’s a bit of a crude model to say you will get three hours or you will get five hours. What does that mean? But following advice from the NCSE, Minister Quinn has appointed a working group to come up with a more flexible and more equitable system that allocates resource teaching on the basis of the profile of need in a school rather than individual diagnoses of disability, and which is expected to report back by Easter 2014. 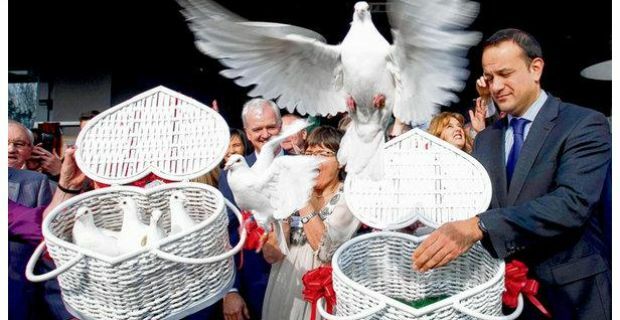 The hope is that any new model will allocate resources more efficiently as well as more equitably, but even if the Minister accepts any of the working group’s recommendations, he told the Dail recently that any changes would be at least two years’ away. Despite a reportedly wide consultation among parent groups, teachers and disability organisations by the NCSE, there are few hints about what model the working group might come up. Some sources suggest that it could be based more on the general allocation model (GAM), which is used to distribute resources for pupils with ‘high-incidence’ needs and which is regarded as working quite well, at least in the primary sector. Under this model, resources are allocated to schools according the number of children it has identified as having milder or less complex disabilities, such as learning difficulties, social or emotional difficulties, or attention-control difficulties, and who need extra learning support. Unlike low-incidence children, there is no formal assessment as the screening is done within schools at selected stages. “The advantage with the general allocation model is that you can get access to resources without having to have a label,” says Dr Travers. Despite the obvious appeal and simplicity of GAM, Dr Travers concedes that doing away with individual assessments altogether would be unworkable. On the other hand, others point out that the danger with a model like GAM it is that children could fall through the net, and that there is no way of ensuring that schools are using the money in the most appropriate way. Whatever way the resources are allocated, Dr Travers says that school principals should have more flexibility around using the teachers that they have, with schools encouraged to assign the teachers with the most experience and the most qualifications to work with those with the most complex needs. “You don’t want anything to happen in the allocation process that would prevent that from happening,” he said. According to ESRI researcher Joanne Banks, most other countries are using a combination approach like Ireland’s: a GAM model for less severe disabilities with individual allocations for low-incidence disabilities – although in most cases this is not tied directly to hours so to ensure they get the resources they need, she adds. Some countries, such as the UK and Holland, are moving back to individual allocations, but Banks says this wouldn’t be practical for Ireland given that is still playing catch-up in terms of mainstreaming disabled children. The other worry that is frequently expressed is that any new model will be just another way to cut back on resources by stealth. “The reason why they are doing this is to take resources away from children. Of course, they are never, ever, ever going to admit that,” says Mary Doherty. Shevlin agrees that it’s a bit of a ‘catch 22’, with parents going through economic sacrifices to pay for private assessments to get a diagnosis, only for them to risk losing out again under any new system. “I think what you have to see, and what the system has to deliver, is confidence and trust.” But having observed the special education sector for the past 20 years, he believes that’s beginning to happen, albeit slowly. But regardless of any new allocation model, the point is frequently made that the key Education for Persons with Special Needs (EPSEN) act, which was introduced nearly 10 years ago, remains largely unimplemented. In response to questions from the Irish Times, the Department of Education said that, due to the “difficult economic situation” and the multi-million euro cost of implementing EPSEN (estimated by the NCSE to amount to €235m a year over a number of years), the government has put it on the long finger indefinitely. However, Carey says that if he was to write his book today, he wouldn’t come across as quite so optimistic, mainly because most of the 2004 EPSEN act is gathering dust on a shelf somewhere. 1993: Publication of the ‘blue report’ by the Special Education Review Committee (SERC). This report essentially kick-started the change in government policy on special education that would see most children with special needs educated in a mainstream school environment rather than a special school. 1998: The Minister for Education, Michael Martin, granted all children with special needs an ‘automatic entitlement’ to special support services. 2004: The 2004 Education for Persons with Special Needs (EPSEN) act was introduced. Among other things, it gives all children with special needs the right to an ‘individual education plan’. It has still not been implemented. 2005 Introduction of the General Allocation Model, under which children with high incidence disabilities, such as dyslexia or other learning difficulties, can get access to resource teaching without an individual assessment, but which low-incidence children continue to need. 2011 End to automatic entitlement. Kathy Sinnott has no regrets about taking her infamous case against the Department of Education in 2001 seeking to compel the Department of Education to provide an appropriate education past the age of 18 for her son Jamie, who has ASD. While the former MEP and disability rights campaigner lost that high-profile case, it joined a long list of cases taken by parents of children with special needs against the government since the 1990s, which each highlighted serious deficiencies in this country’s special education provision, but also helped to shape the development of the field in the years that followed. However, Sinnott says any optimism that followed in the wake of her case was short-lived. “There were some really good services set up,” she said. “A good start was made. And then the Education for Persons with Special Needs Act (EPSEN) was brought in. And all that did was, if you like, dampen it all down again. “It’s disheartening to see it ignored when every child has a constitutional right – and it is constantly being ignored – to an education according to need,” she said. Along with the Sinnott case, the High Court case taken in 1992-93 by Cork mother Marie O’Donoghue on behalf of her son Paul, who had severe and profound general learning disabilities, were critical in establishing that the constitution gave every child – even those with the most severe learning disabilities – a legal entitlement to a free State education based on whatever the child needs. But what’s wrong with EPSEN? Surely, if the government got around to implementing this act, things would improve? Sinnott believes the legislation was all about the Department of Education taking back the control from families and forcing them to choose from special educational options approved only by them. “What the O’Donoghue and then the Sinnott case did was it gave the control to the child. In other words, the needs of the child determined what the child got. “There was a period after the case when you could go to an independent expert, an educational psychologist or whatever, and they would look at your child and could say what that child needed, and that was a legal entitlement. That was your constitutional right. “Now that’s all over. No expert opinions are accepted anymore. It’s only what one of the Department of Education-paid psychologists say you need and then when they described your need, it only refers to a set menu of things. If you need something that’s not on the set menu, you don’t get it. But surely you have to keep a reign on costs to some extent – to give carte blanche to any method of special education under the sun means costs would run away? But after one of the most expensive and long-running cases in 2007, when Yvonne and Cian O’Cuanachain were seeking a particular form of education – applied behavioural analysis – from the State for their son Sean, who has ASD (and which they lost), the number of court cases taken by parents dropped off markedly. In 2003 and 2004, for instance, the Department of Education contributed €3.6m and €5.1m in legal costs and court settlements respectively. By 2010, those costs fell to around €650,000, while in the year to October, the figure was up to just €60,000. A spokewoman said that the fall-off in legal costs was partly due to precedents on some of the legal issues being set in a number of cases in the High Court and Supreme Court. Sinnott also believes the O’Cuanachain case was the “turning point” in how special education court cases were settled or resolved. Her view is that even though the O’Cuanachains fought on the basis of the constitution, the judge in that case did not consider the constitutional right. This article and the accompanying videos were supported by the Mary Raftery Journalism Fund. Is a person with autism someone who is mentally ill? Is a deaf person not hearing impaired? Is calling someone handicapped not acceptable anymore? Journalists do sometimes struggle to find the most appropriate or acceptable ways to refer to people with disabilities, particularly if little is known about a specific illness, condition or disorder. The Associated Press newswire in the US recently updated its guidance for reporters on how to write about mental illness and conditions such as autism, and which now advises them, among other things, to be as specific as possible when referring to a person’s mental illness and include examples of symptoms. This addition to the widely used guide also advises journalists not to mention a diagnosis of autism, bipolar disorder, schizophrenia or other common mental disorders unless it is germane to the story and properly sourced. It also notes that many experts do not classify autism as a mental illness but as a development disorder. “It doesn’t fall under intellectual disability either, as a lot of the children who have ASD would have normal or above-normal intelligence,” he said. There can be problems in finding the most broadly acceptable way to refer to well-known disabilities such as deafness, of which there are many degrees. Are they deaf or hearing impaired, hard of hearing or partially deaf? Other disability groups seem more relaxed about the lingo they use to describe themselves. “No one has ever asked me what the right term is,” says Elaine Howley of the National Council of the Blind of Ireland. She says the few people who are born totally blind tend not to have any issue with being called blind, but “the vast majority of us have impaired vision”, she says. Nikki Hegarty of disability awareness organisation Kanchi also strongly advocates the use of “person-first” language, but also to avoid using negative descriptors, such as “sufferer” or “victim”. She concedes, however, that the influence of “political correctness” and a fear of causing offence has had the effect of stifling disability discourse. “This is an issue because until we are willing to talk about disability, we will be unable to overcome the challenges being faced around the inclusion and valuing of people with disabilities in society,” she said. If there is ever a serious campaign to reduce the influence of political correctness, people with disabilities themselves are likely to be involved. Comedian Laurence Clark last year wrote about how paralympic athletes are always described as inspirational, no matter how well they do. “It’s a bizarre form of political correctness,” he wrote. Elaine Howley agrees that jokes and humour helps break the ice, but “it also depends on who you’re talking to”. The Irish deaf community has begun a grassroots campaign against the possible closure of the only residential care facility for deaf and deaf/blind people in the Republic. The long-term future of St Joseph’s Home for Deaf and Deaf/Blind in Stillorgan, Co Dublin, is in doubt because of a new HSE/Department of Health policy that aims to close all institutions – or “congregational settings” – that provide residential care for people with disabilities over the next seven years. The policy aims to move people with disabilities out of these institutions and integrate them into the wider community to either live alone or in shared accommodation with up to ten other residents. St Joseph’s currently houses 29 residents and has a waiting list. Staff are trained in Irish Sign Language (ISL), and most of the residents sign. The prospect of the home’s closure has alarmed large numbers of people in the Irish deaf community and prompted a Facebook campaign that has already attracted over 1,600 members. Liam O’Dwyer, chief executive of the Catholic Institute for Deaf People (CIDP), which owns St Joseph’s, says that while his organisation agrees with the general thrust of the new policy, St Joseph’s Home deserves to be made an exception. He says that when gathering information to back up the policy, researchers for the HSE did “not research” the situation with regards to residents who are deaf or deaf/blind, and have simply thrown them into the same category as residents with intellectual disabilities. “What we’re saying is deaf people want to be together, from a communication and a cultural point of view. “That’s what makes this different,” said O’Dwyer. The policy makes an exception for congregational settings classified as “intentional communities” – communities of people who actively want to be together – but it is understood the HSE is challenging efforts by the CIDP for St Joseph’s to be recognised as one. A spokesman for the Department of Health said the Minister of State with responsibility for disability, Kathleen Lynch, has met the CIDP and is aware of its concerns, but is “confident that that the HSE will progress this policy in conjunction with all those involved, including agencies providing services to people with a disability”. The CIDP has already agreed with the HSE that it will have to move out of the Stillorgan building within the next four years because it has been deemed unsuitable in the long-term. It is planning a proposal for a new residential home structure based in or beside the new Deaf Village Ireland campus in Cabra, Dublin. But in the meantime, the CIDP says the short-term viability of the current facility, which has accommodation for up to 36 residents, is under threat because of a freeze in HSE funding for new applicants despite an eight-strong waiting list. There are currently 29 residents, but it needs at least 33 to break even. For a state-of-the-art sports and social complex, the choice of name is a bold one. Yet there it is, in huge letters above the entrance: Deaf Village Ireland. Located off the Ratoath Road in Cabra, Dublin, it’s very much open to the local community and, indeed, that patronage will be essential to the facility’s long-term viability. It features a state-of-the-art sports centre and swimming pool, conference facilities, meeting rooms, several offices, classrooms, a chapel, a social lounge and a cafe. Just before it opened for business at the end of last month, the facility’s developers, the Catholic Institute for Deaf People (CIDP), ran a naming competition within the deaf community in a bid to come up with an alternative – perhaps more neutral – name for the €15 million facility. But the “deaf village” tag clearly stuck, and Deaf Village Ireland (DVI) it was. It suggests a new confidence among members of the signing deaf community, and implies that they are very much in charge here. But are they? According to Liam O’Dwyer, the chief executive of the CIDP, there are currently two boards of management: a subsidiary board of the CIDP that was set up to build the centre and which runs the sports centre, and a newer, independent board that runs the whole of DVI. The majority of seats on the independent board are filled by deaf people, while the subsidiary CIDP board is 50:50 deaf and hearing. The aim is that the independent board will eventually take over the running of everything, including the sports centre. “The strategy of the DVI was to enable and encourage the deaf community to manage its own business,” he said. At the old deaf club in Drumcondra, which was sold in 2008, “the deaf community was the tenant, but CIDP owned and ran the place. Now, at Deaf Village Ireland, the deaf community owns and runs the place, and CIDP is one of the tenants”. Those who work for different deaf organisations now based in the DVI agree that the deaf community has been given substantially more input and control over the facility, and it marks a very significant change to allowing the development to become a truly community-led enterprise. He credits the appointment of Fr Michael Cullen as chairman in 2006 as the start of the change. Some independent research into the problems with the organisation was commissioned, for which the overwhelming feedback from the deaf community was scathing. “A lot of deaf people in the deaf community were really frustrated and angry with CIDP because they felt like it controlled the deaf community,” he says. Stanley believes there is still some way to go before CIDP hands over complete responsibility, but Sylvia Nolan, the manager of DVI, says it’s unrealistic to expect so much change overnight. On the other hand, some in the community have privately voiced concerns about what they see as an overemphasis on the sports centre to the detriment of the rest of the facility. But so far, it seems to be doing well to attract members from the local community – 1,600 (now 2,200 as of March) people have signed up to the sports centre so far, the vast majority of whom are hearing. Dr John Bosco Conama, assistant professor and lecturer at the Centre for Deaf Studies in Trinity College, concedes that it’s early days for the new deaf-led regime, but that they need to grasp the opportunity to develop their confidence and leadership skills in order to achieve a reasonable balance between remaining financially sustainable and providing much-needed resources to the deaf community. He hopes that much of the value of DVI will be in celebrating diversity in Irish society by promoting awareness of the deaf community, its language and culture. But he adds that also it would provide a safe haven from “campaigns of misinformation and repression against Irish Sign Language” over the past few decades and which he says are still running today. “We are constantly told to recognise and respect diversity in cultures and religions, but I have not seen this being extended to the deaf community,” he says. 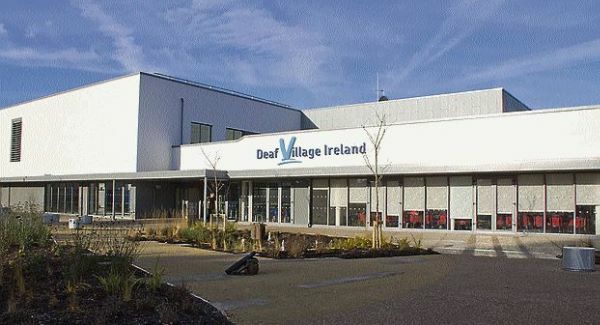 Picture: Deaf Village Ireland in Cabra, Dublin, which is being officially opened next week, is a one-stop shop for deaf services but also welcomes members of the wider local community to the sports centre and swimming pool. YOU could call it the mother of all deaf clubs. Deaf Village Ireland is an impressive €15 million sports and social facility in Cabra, Dublin, which is being officially opened next week. It features a state-of-the-art sports centre and swimming pool, conference facilities, meeting rooms, several offices, classrooms, a chapel, a social lounge and a café. It’s a stunning space, bright, spacious, well-lit and accessible. The people behind the centre have also persuaded nearly all of the national organisations working for deaf people to take up offices here, creating a one-stop shop for deaf services. But despite the facility’s bold name, the sports centre and swimming pool is very much open to the wider local community. Indeed, attracting local people will be critical to the success and financial viability of DVI and, so far, it has already signed up over 2,200 members in the space of a few months. I’m curious about this place because, while I’m deaf and know a bit of Irish Sign Language (ISL), I didn’t grow up in the ‘deaf world’. I went to ‘hearing’ schools, and nearly all of my friends are hearing. Will I be welcome here? We also live in a country where there is a very strong drive to integrate services and facilities for people with disabilities into the wider community — not focus them all in one place. Yet that seems to be what is happening here. Liam O’Dwyer, chief executive of the Catholic Institute for Deaf People (CIDP), admits he had a hard time convincing ministers, TDs and officials that this urban village-style development wouldn’t become a ‘deaf ghetto’. In the ‘Rathmines Room’, I talk with DVI’s manager, Sylvia Nolan, and a number of other deaf people working for different organisations now based in the facility. They explain that the room is named after the old Rathmines deaf club, a much-loved meeting place for the Dublin deaf community for many years until 1989, when it moved to the much less-liked location in Drumcondra. “It was great, everybody loved it,” says Nolan. “Then, when they moved to Drumcondra, the young people and the older groups kind of separated. Some of the older people went to Drumcondra and they used it. On the other hand, there is also a strong sense of a community fighting for its survival. It has always been very small — ISL is estimated to be the first language of around 4,000 deaf people — but it may be getting smaller. This is because the numbers enrolled at deaf schools have been steadily falling thanks to the huge push towards sending deaf children to mainstream schools, better hearing aids and the availability of cochlear implants. This is having an obvious knock-on effect on the strength and vibrancy of the community. However, while this might seem to most of us like progress, there is a growing body of evidence to show that a significant minority of deaf children still don’t do well in a mainstream school setting. The CIDP also runs the deaf schools. “What makes it such a hard sell for us is that, for every child who doesn’t do well [in a mainstream school], there are three or four who do great, because the levels of hearing are always different,” says O’Dwyer. Some of these children may do very well academically, he says, but there is a strong sense that many are worse off in terms of social connections and inclusion, which can result in isolation and low self-esteem. But by being a top-class facility with a welcoming, inclusive atmosphere (notwithstanding the name), there is a hope that DVI will become a showcase for all that is good about deaf culture. So, you don’t have to know ISL to use the sports centre or any other part of DVI, but it’s a perfect place to go if you’re interested in learning — whether you’re non-signing deaf, hard of hearing or hearing. I LIKE bicycles. I like the way they look and their engineering simplicity. I like the fact that they help you get fit and don’t clog up the roads. I ride a bike at least once every day and, half the time, my two kids are with me. It pleases me to see more and more people riding bicycles today, too. But every so often I see someone riding an electric bicycle. When I do, I can’t stop staring at them and thinking, why? I wouldn’t go so far as to call myself a bicycle purist, but I just can’t get my head around the idea of electric bicycles. To me, they are a paradox. Riding one is, essentially, cheating. They also tend to look very ugly, are no doubt very heavy and, seem incredibly expensive. A half-decent one will set you back the guts of €1,500, and more. One of the traditional appeals of the humble bicycle is its (relative) cheapness. But, for the price of the average electric bike, you could buy a decent 50cc moped or even a secondhand electric scooter. So when I pedal up beside an electric bike user at traffic lights, I look over and try to look for the shame in their eyes. But I don’t see it. In fact, I’m more likely to be met with a look of smugness or a beaming smile. Well, there’s no doubting the stats. Last year, 31m electric bikes were sold worldwide, and sales are projected to hit 50m by 2018. They remain a relatively rare sight in Dublin, but that may well change soon. I’ve never ridden an electric bike. So, I asked the genial Olivier at Dublin electric bicycle retailer, Greenaer, if I could have a go on one. 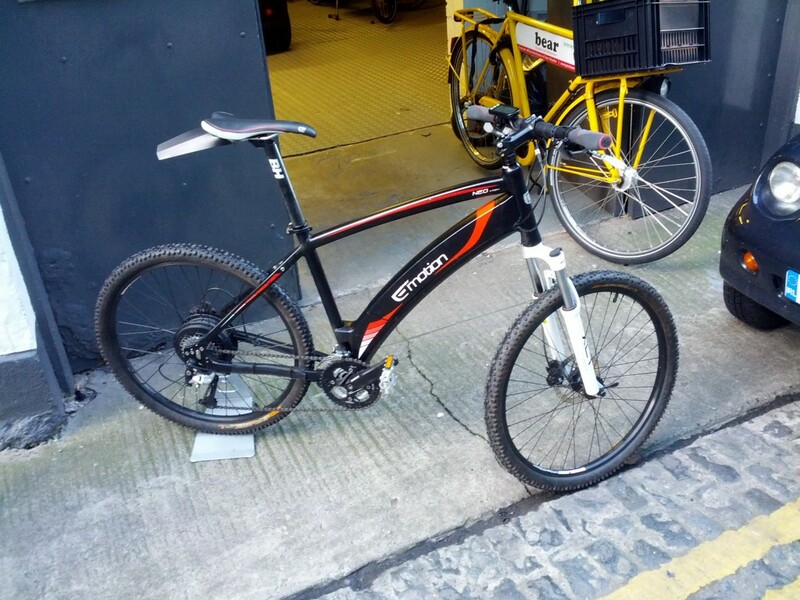 I tried an electric mountain bike made by BH (cost: €2,250) that, much to my surprise, looked very like a conventional one as the battery is built into the frame. The only visual giveaway was the huge size of the rear hub, which contained the electric motor. 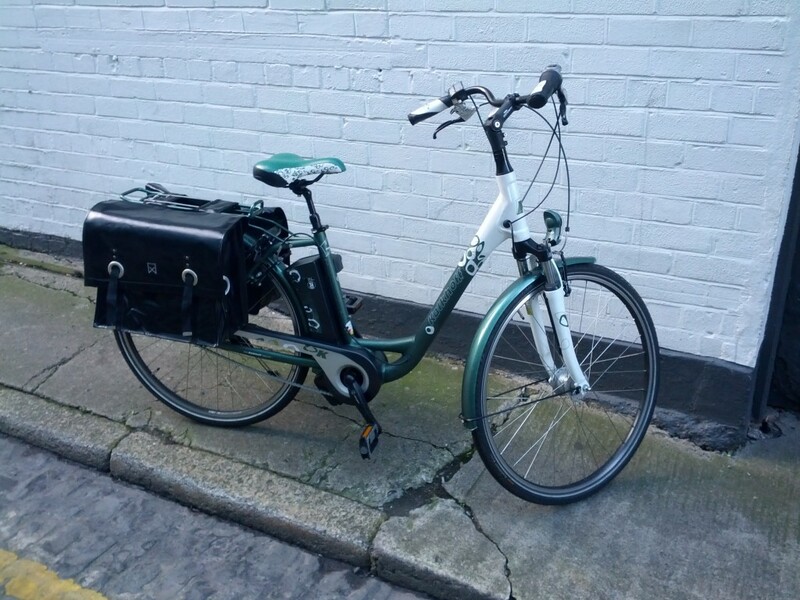 Most electric bikes are ‘pedelecs’, which means the electric motor only kicks in when you start pedalling. You certainly feel the difference from the first half-revolution of pedalling: it just surged forward and before I knew it I had to brake hard to stop myself careering through a junction. Good job it had effective disc brakes. Janey Mac! After a few minutes adjusting to the assistance, the sheer effortlessness in moving off became addictive. So much so that, every time I approached a set of traffic lights, I was almost willing them to turn red just so I could stop, switch the power dial to maximum, and pedal off hard at the green and … whoooosh. It also, as you might expect — flattened hills. However, EU rules regarding pedelecs mean that the electric assistance tails off once you are up to a reasonable cruising speed and stops altogether if you are going faster than 25kph. That’s when you feel the limitations of the much higher weight, although it was still lighter than the Dublin Bike I rode earlier. But I still felt like a cheat. I’m sure other road users were wondering if I had more than just Weetabix for breakfast. In fairness to Olivier, he’s heard all the cynics, but he knows his market. Like folk with less than perfect health, such as diabetic Gordon Birch, of Dun Laoghaire. He had not ridden a bicycle for 40-odd years until three months ago, when he bought a Kalkhoff pedelec from Greenaer through the cycle-to-work tax scheme. Since then, he has cycled the 9km to work every day along a route that takes him up and down the hilly Vico Road. He has already had to tighten his belt a few notches. No doubt his GP is delighted. Electric bikes also make sense for people living further outside cities or who want to commute a longer distance by bike but are not big into fitness. Or who don’t want to arrive at their destination drenched in sweat. It will also appeal to folk who like the idea of doing a long cycle tour, but get tired at the thought of pedalling up the steep inclines of the Ring of Kerry on a bike weighed down by heavy panniers. So, horses for courses. And if they get more of us cycling, that can’t be a bad thing. But for city dwellers in good health, the answer is no. You’ve no excuse. YOU may have read the story last week about the EastEnders actress, Rita Simons, who wants her deaf six-year-old daughter, Maiya, to hear better by having an operation to get a cochlear implant. But Simons, who plays Roxy Mitchell, says she was told she would be “abusing” the child if she went through with it. Why would anyone think that giving your child a cochlear implant would count as abuse? You might also be wondering what exactly a cochlear implant is. It is essentially a special kind of hearing aid that is surgically inserted deep inside the inner ear. It stimulates the parts of the hearing ‘nerve’ that a conventional hearing aid can’t, enabling many profoundly and totally deaf people the opportunity to experience sound. The operation to insert them into your inner ear is quite a serious one (it involves drilling into bits of skull bone, for instance), but is now considered a fairly routine procedure and not particularly risky. I know all this because I have a cochlear implant. In fact, cochlear implants have been around for years and are now very common. Over 200,000 deaf people worldwide have them, making it one of the most widely used prosthetics, after hip replacements or heart pacemakers. In Ireland, nearly 500 adults and children have gotten implants from Beaumont Hospital, which has run the national cochlear implant programme since 1995. But a cochlear implant is not a ‘miracle’ cure for deafness. It doesn’t restore hearing; it replaces it with an almost completely artificial system that is nowhere near as good as normal hearing. And because it is a totally new way of hearing, it can take quite a long time to get used to it. But once you adjust to it, it can give you very serviceable, useful hearing. However, it doesn’t work for everyone, while others may only get limited benefit. It now works really well for me and the chances are it could work well for Maiya, too, but her mother knows full well that it won’t give her perfect hearing. Nonetheless, she says she encountered “extraordinary” hostility from “people who firmly believe that deafness should be embraced rather than treated as a physical deficiency that should be corrected”. But why would anyone “embrace” their deafness? I didn’t grow up in the deaf world, but I’ve met and gotten to know many signing deaf people. And what I understand now is that not every deaf person wants to be ‘fixed’. In fact, some people are very happy to be deaf. Leaving aside the fact that implants don’t do much for anyone who has been deaf for all or most of their lives, choosing not to get one doesn’t condemn them to deafness in terms of communication because they have sign language. So proud are they of sign language, members of a deaf community typically consider themselves not as a group of people with disabilities, but as a distinct cultural group with its own language. Irish Sign Language, like British Sign Language, French Sign Language and American Sign Language (yes, they’re all different), are fully fledged languages with just as much complexity and sophistication as spoken languages. But years ago, when cochlear implants starting getting popular, the media over-hyped them as hearing ‘cures’ when they were anything but. The hype fed a genuine fear among deaf people that cochlear implants would effectively kill off their deaf communities and wipe out sign languages. This deep-seated fear has lead to the kind of hostility that Simons was recently exposed to. The truth is, some of their fears are being realised — albeit slowly. Thanks partly to cochlear implants and better hearing aids, the numbers going to deaf schools have fallen sharply, leading to a weaker and less vibrant deaf community. But deaf communities are adapting and cochlear implants are now much more widely accepted among the ‘culturally’ deaf — because they realise it is not a hearing ‘cure’. I know a few deaf people who got them recently — one who wanted to be more independent at work and the other so that she could hear and enjoy music more. But they still use Irish Sign Language and they still consider themselves deaf. But what deaf communities (including Ireland’s) would really like now is for parents of deaf children to meet with them and see that their child could benefit not just from cochlear-implant and hearing-aid technology, but also from learning sign language and being part of a strong and friendly community. They are not mutually exclusive choices; a deaf child can grow up to have the best of both worlds. That bigoted 19-year-old who labelled Simons an abuser probably wanted to deny her child the benefit of those choices, but there are always extreme elements in any community. It’s a question that comes up at least a few times for everyone who owns an expensive digital device or a household appliance. Common sense does suggest that you should at least try and see about fixing a broken and out-of-warranty computer, MP3 player, games console or smartphone; or any essential household appliance, such as a vacuum cleaner or a fridge, before shopping for a new one. But this recurring consumer dilemma has become more pressing by our lack of spare cash at present. Prior to the recession, many of us would probably have happily replaced an item costing up to €1,000 without even considering asking a repair firm to look at it. But with money still tight and environmental issues more to the fore, repairing may be a cheaper and, in many ways, a better option. When Zoe Patterson’s three-year-old laptop started to slow to a crawl, she assumed it was on its way out, and so bought a netbook thinking it would be lighter for taking into work. The netbook proved not to be powerful enough for the self-employed drama teacher’s needs, so she started to look for a new laptop. But after getting some advice, she decided to use a voucher for PC repair firm HelpMyPC, which she had got from a daily deals website. “So I made the appointment and sure enough they called and we chatted for a bit about the computer, then off they went,” she said. There are loads of places where you can get out-of-warranty computers repaired, from one-man-band backstreet shops to high-street chains such as Compuworld. But since every computer can access the internet, more firms can now fix them online without the hassle of you having to leave your home — and more cheaply, to boot. Griffin, who was inspired to set up his firm by the combination of a poor experience he once had having his laptop fixed by a multinational and the availability of remote-access software, thinks many repair firms need to improve their service. ‘There is a perception of electronics and PC repair firms as being still a bit of a backstreet industry, so what we are doing is focusing on our customer care,” he says. HelpMyPC, which employs four technicians and plans to hire more, will do a free diagnostic. It also promises to follow up within five days to check everything is in order. Ongoing issues over computer security and data theft means that consumers should do all they can to make sure the firm is reputable and to take steps to protect any sensitive personal data or passwords. There have been a number of scams involving online PC repairs. One scam that did the rounds here a couple of years ago involved consumers being called by ‘security engineers’, who claimed to be working for a multinational, warning them they had a virus on their computer. They would try and cajole them into logging on to a website in order to run a scan– and then plant a virus — or ask them for their credit card to ‘purchase’ an online software fix. One of the giveaways of this scam — besides the fact that the calls were unsolicited — was the €130 fee the scammers reportedly charged for the online repair which, even if it had been a genuine service, is a rip-off. Prices for online software fixes shouldn’t exceed much more than €70, judging by a quick price survey. Independent repair firms like HelpMyPC, The Tech Fixers and many others are also branching out into repairs of iPhones, iPads, some smartphone brands and tablets. And although the software bits in most of these devices can’t yet be repaired online, remote access software will soon be able to fix these devices too, according to Griffin. With cheap but decent laptops available for just €400 or so, surely upgrading might make more sense in the long-term, at least as far as these items are concerned? Zoe says the total cost of fixing her laptop, including the cost of the €35 voucher, the online service by HelpMyPC (€39) and a Windows software fix by a local shop (€50), came to €124. “I can’t believe the difference it has made,” she said. “It really feels like it’s new, and it’s also spurred me on to fix other bits and pieces. “Then I was able to sell my netbook, and that brought in €165. So I was actually up by €41!